Israel’s Channel 2 reported over the weekend that US President Donald Trump was prepared to push the Palestinian Authority to end its so-called “Right of Return” in which millions of descendants of Palestinian Arabs that left homes in what is now Israel, be granted the right to return. Various news stories picked up the story as something new and fantastic including the Jerusalem Post and Arutz Sheva. It is remarkable to witness how the tenure of former President Obama was so pro-Palestinian, that people have forgotten that the Democratic Party also was against the “Right of Return” before Obama took office. That is, there are one of two ways that the Palestinian Arabs will be compensated for lost property: either through monetary compensation, or by permitting them to move to the new country of Palestine. There would be NO right of return into Israel. Should President Trump move to close the return issue demanded by the Palestinians, he would simply be reverting back to the standard bipartisan approach that both Democrats and Republicans used before Obama’s aggressive push of the Palestinian Arab agenda. That Trump’s action is being viewed as novel says more about how far the Obama administration shifted the Democratic Party and the media away from Israeli-leaning positions than the Trump action itself. It is remarkable – if not scary – to hear many world leaders call out their support for a two-state solution to resolve the Israel-Arab conflict. There are already 22 Arab countries. Who could possibly support the creation of a new state with such dynamics? Anti-Semites. Jew haters. People that seek the destruction of Israel. I will not support Palestinian dignity that is predicated on denying Israeli and Jewish dignity, nor will I support a “viable” Palestinian state that undermines the viability of Israel. I completely oppose the creation of such a Palestinian state ANYWHERE in the world, let alone adjacent to the only Jewish state, and in the Jewish holy land. There were several terrorist attacks against Israeli Jews in early October 2015. 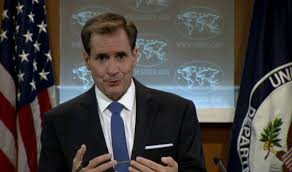 The US State Department gave very tepid comments about the murders, especially compared to how the US reacted to the arson attacks that claimed the lives of three Palestinian Arabs in July 2015. When one considers that the attack against the Arabs was arson against a house (which could have been empty) compared to deliberate murders shooting at a moving car and stabbing individuals, the response from the US State Department was even more appalling. As seen in the chart above, the trend line of not even expressing condolences or calling the attack terrorism is very worrying. Supporters of Israel have long complained about the bias of the United Nations against Israel. It would appear that those supporters must now worry about the support of its strongest ally. “The United States condemns in the strongest possible terms last night’s vicious terrorist attack in the Palestinian village of Douma. The arson attack on a family’s home in the dead of the night resulted in the death of an 18 month-old baby and the injury of three other family members. We convey our profound condolences to the Dawabsheh family and extend our prayers for a full recovery to those injured. In an Instagram and Twitter world, people expect their news in small tidbits. The major media sources have understood this and not only have taken to social media, but have their news stories include more pictures than they had previously. A review of their selection of pictures and captions provides an interesting snapshot of their views of the news. These two attacks on Israeli Jews were completely invisible to a casual reader. 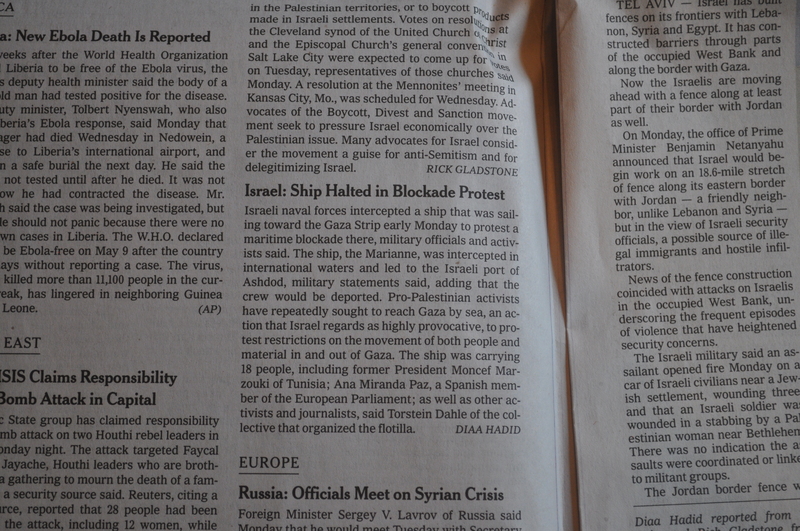 Here are stories that the Times emphasized with pictures with their own terse storyline captions. 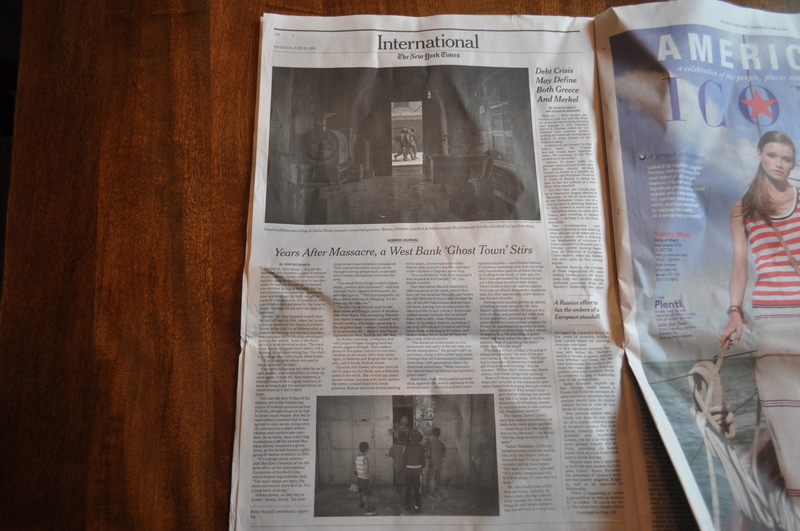 The balance in the stories overall and in individual news reports was completely lacking in the New York Times. First, consider the pictures and the stories they told: the Palestinians were dignitaries and everyday people going about life or mourning a death. They had names and professions. However, every Israeli that was pictured was a soldier and nameless. Even more, they were accused of war crimes. Second, think of the seven attacks on Israelis Jews. They were treated as non-events and received no pictures or mention in the captions. The casual reader would not even know that such attacks occurred. Third, review a specific story: The July 4 headline, pictures and caption would lead a reader to think that Israeli soldiers simply opened fire on a youth and that soldiers continue to patrol the intimidate the Arab population. The complete news report was that the Arab that was killed initiated an attack by hurling stones at Israeli vehicles, smashed the windows. It was in response to the Arab attack that soldiers got out of their vehicles and shot him. There were many pictures of the smashed car available that the Times could have posted as the second picture to show the complete story of the incident. Instead, it opted to convey a one-sided narrative of Palestinian Arabs as passive victims and Israelis as military oppressors. The pictures and captions in the New York Times tell a specific narrative time after time after time: the Palestinian Arabs are passive victims under the oppression of the Israeli military. It is only these poor Arabs that suffer – unprovoked. Ordinary Israelis are not stoned, stabbed and murdered and are not subject to attacks by Palestinian Arabs. More, if there is any chance for peace in the region, it will come from Americans who will bring peace to the region. On May 21, 2015, Jeffrey Goldberg from The Atlantic published an interview with US President Barack Obama on ISIS, Iraq and Israel. Here is a review of Obama’s comments on Israel and his deliberate attempt to minimize his threats to Israel. It would appear that the president needs a reminder that the primary Jewish value is the sanctity of life. Comment: Obama’s Jewish support has declined considerably. Obama received weaker Jewish support than any of the recent Democratic candidates for president (going back to the loser Michael Dukakis in 1988). Comment: Obama’s critics and his collapsing poll numbers are about OBAMA’s policies regarding Israel, not Israel’s policies regarding Palestinians. Obama’s poll numbers among Jews were fairly consistent during his first term, but with a downturn which could be attributed both to his criticisms of Israel’s permitting Jews to live anywhere they choose as well as the Democrat’s gutting of their pro-Israel platform in 2012. The more precipitous drop in Jewish support for Obama had to do with his Iranian nuclear negotiations and his treatment of the Israeli PM during that time. Comment: Obama is being a hypocrite by stating that his “public disagreements with the Israeli government” should not be construed as anti-Israel, while Netanyahu’s public criticism of Obama’s policies were attacked. Obama has criticized Israel repeatedly on the world stage for Israel’s handling of disputed lands. However, when Netanyahu disagreed with Obama, it was over a matter that was an existential threat to Israel. Yet Obama chose to belittle Netanyahu’s argument and berate the Israeli leader. Comment: Obama has never internalized that Israel is THE homeland of the Jewish people. There has always been an important and significant disconnect that Obama has about Israel: Israel is not simply a safe haven where Jews are “free of discrimination and persecution.” Such a safe space could have been created in Uganda too. Israel is not just “a homeland” as if Jews had been self-governing in many other places on earth for centuries; as if the Jewish religion did not have an exclusive and unique relationship with the holy land. Israel is THE homeland of the Jewish people as it has been for 3700 years. That is why the San Remo Conference in 1920 specified Palestine for the Jews. Comment: Obama’s goal for Israel is not particularly unique. Obama has stressed that the Iraqi government needs to protect Iraq; the Afghani government needs to protect Afghanistan, and so on. Obama has sought to pull American forces out of conflict zones and put the onus on the local governments to protect themselves. That is a broad Obama policy decision – with which one can agree or not regarding America’s role as the world policeman. What is not subject to debate, is that the policy is not unique and is hardly the great shining example for Obama to underscore as his complete bona fides in being pro-Israel. His stance for Israel’s security is part-and-parcel of his broad position regarding military support and cooperation around the region. Comment: Obama was curiously selective in focusing on certain comments which portrayed Netanyahu only as an extremist. Obama chose to focus on Netanyahu’s comments on election eve when Netanyahu was worried he was going to lose the elections and was trying to rally groups to get out and vote for him. Obama ignored Netanyahu’s later comments which back-tracked and explained his intentions regarding election night. Obama ignored the many years that Netanyahu negotiated with the Palestinian Arabs (Netanyahu ran three prior Israeli governments). Obama ignored Netanyahu’s handing over cities to the Palestinian Authority in showing his willingness to swap land-for-peace. Comment: Obama ignored comments from repressive regimes. Obama is putting forward sanction reliefs for Iran while the regime chants “Death to America”. Obama has back-tracked from his no nuclear capability for Iran pledge, while Iran chants “Death to Israel”. Obama pushed Israel to negotiate with acting President of the Palestinian Authority Mahmoud Abbas and to release Arab terrorists convicted of murder, while Abbas celebrated the killers of innocent Israelis. Comment: Obama ignored undemocratic regimes. Obama’s reference to Israel’s Declaration of Independence suggested that he only treats countries with liberal values as allies. How does Obama send billions of dollars to the Kingdom of Saudi Arabia which is one of the most repressive regimes in the world? Comment: Obama threatened Israel. While Obama ignored the many statements and long history of Netanyahu negotiating with the Palestinian Authority, and ignored the actions and statements of surrounding Arab governments, he threatened Israel. Threatening a country is a far cry from having a difference of opinion or being upset with momentary excited statements from an individual. When Turkish leader Erdogan called Zionism a “Crime against Humanity”, the White House denounced the statement but never threatened Turkey. When Erdogan called for Muslims to conquer Jerusalem, the White House was silent; no threats were issued. Indeed, Obama considered Erdogan one of his closest friends among world leaders. As detailed in FirstOneThrough “International-Domestic Abuse: Obama and Netanyahu”, the relationship between Israel and the United States is both unique and not one of peers. Israel relies on the US on many levels. Therefore, Obama’s double standards for Netanyahu, coupled with Obama’s global pronouncement that he will punish the entire country of Israel, is an abuse that has angered Israel supporters around the world. Comment: Obama has double standards about criticism in public. Obama lectured Netanyahu that Bibi’s election eve comments and actions ran counter to Israel’s laws. Would Obama feel it is appropriate for Netanyahu to lecture him about America’s ongoing use of the death penalty which most of the western world abolished? Would Obama care to hear about Netanyahu’s views on how the US should treat gay marriage or gays in the military as running afoul of America’s foundation documents? Or would Obama feel that such comments have nothing to do with Israel and that he doesn’t need to listen to a lecture about his own country’s laws from a foreign leader? Yet, when Netanyahu criticized Obama’s negotiations with Iran over their nuclear program – which poses a direct existential threat to Israel – Obama did not just get offended, but rallied his Democratic loyalists to boycott Netanyahu’s speech in D.C. Comment: Obama learned only half a lesson from the rabbis. The phrases used by Obama are uniquely Jewish referring in English to Tikkun Olam, repairing the world, and “Acher”, the Other. The choice of language was so out of place that it would be the equivalent of a Jewish person littering a conversation with “Grace”. The Atlantic’s Goldberg even made the comparison stating “Obama, when he talks about Israel, sounds like a rabbi in the progressive Zionist tradition.” The aggressive Obama sales tactic was clearly courtesy of a progressive rabbi to parrot to a Jewish audience. Regrettably, Obama only learned (or was taught) half of the lesson. The most important Jewish value of all is the preciousness and sacredness of life. Protecting life supersedes almost every other commandment. It is precisely for that reason that Jews have turned against Obama and his poll numbers have dropped. Enabling Iran to get a nuclear weapon threatens millions of people in Israel. Obama’s threats to suddenly withhold support for Israel at the United Nations risks putting Israel’s border security and economic viability at risk. Comment: Obama has double standards for Israel. There is no crime in having high expectations for someone; indeed, it is often thought of as a compliment. However, if one uses those higher expectations to punish the party, that is a form of discrimination. For example, Obama cannot make demands on Israel for preconditions for final status talks but make none on Palestinian Arabs. Obama cannot wage wars thousands of miles from his shores against enemies who cannot possibly destroy the US, while berating Israel for fighting against an enemy on its borders that threaten to destroy Israel. Comment: There is one Jewish State called Israel and its Jewish Values stress the sanctity of life. Obama managed to roll Judaism into Christianity and ultimately human and universal terms. While I am sure that he intended this as a compliment, it also undermined the uniqueness of Israel. Regarding the first point, Obama minimized the fact that there is only one Jewish state. 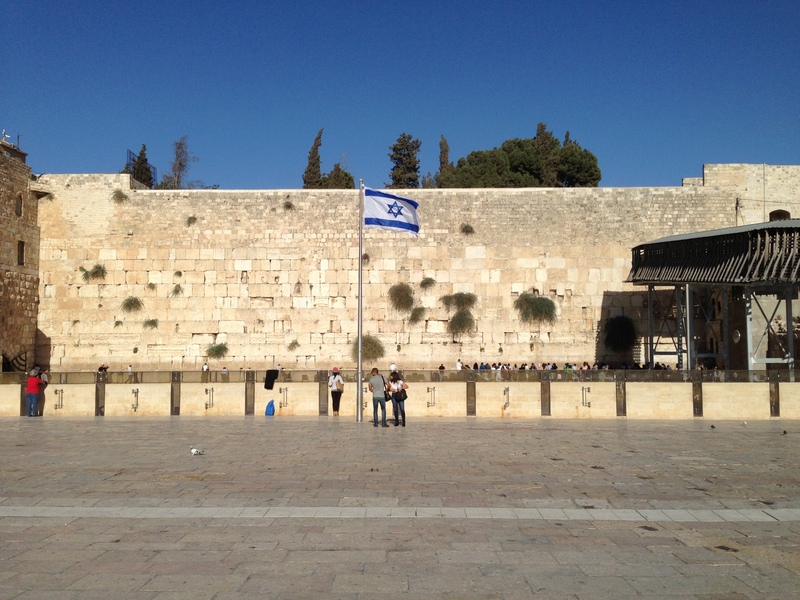 While Israel has religious freedom for all, it is the Jewish homeland. Israel’s goal is not to embody Obama’s dream of a Star Trek-like future of universalism. Regarding the second point, Obama needs to be re-educated by the progressive rabbis that coached him, about the paramount Jewish value of the sanctity of life. It is precisely for that reason that Netanyahu came to address the joint session of Congress to talk about the Iranian nuclear threat. That exact value and speech that Obama boycotted. Comment: Obama doesn’t know that Israel is the most liberal country from Greece to Singapore to South Africa. What was this Obama rant? Was there an insinuation that Israel is an apartheid state (why mention Jim Crow or Nelson Mandela)? Was there a suggestion that Israel’s Security Wall which it built to stop Palestinian terrorism in 2002 is like the Berlin Wall? Does he think that people are being tortured or jailed for speaking their mind or worshipping in Israel? Israel is a thriving liberal country in the heart of a backwards Middle East. What were these bizarre comparisons? Why does Obama say that he “wants Israel to embody these values” rather than acknowledge that it DOES embody those values? Should Netanyahu wax about his dream for America to not shoot unarmed black people? Comment: Obama lied about understanding security for Jerusalem. If Obama understood the need for security for Israel’s capital, how can he condemn Jews LIVING in Jerusalem? Why did Obama condemn Jews moving into homes they legally purchased? Since Obama said he has Israel’s back, you must believe him. Just ignore that his words about preventing Iran to get nuclear capacity have been meaningless; that the Syrian red line was crossed without consequence; that Obama has ignored US’s treaties to support Ukraine and let Russia take over half of the country. Since Obama said he is willing to fight for Jewish Values, you must believe him. Just ignore that he doesn’t understand that the primary Jewish value is the sanctity of life. Ignore that he thinks Israel isn’t the most democratic and humane country for thousands of miles in every direction. Obama clearly does not appreciate the values that Israel lives each day. If he did, he would be doing the opposite of his current actions by nixing a bad Iranian deal and by standing proudly next to Israel in international fora like the United Nations. Comment: Obama hasn’t internalized his own double standards for Israel. Obama spoke about Israel’s history and the history of anti-Semitism even until today which makes it easy to align himself with Israel. However, his personal higher expectations of Israel and the unique role that the United States has in defending Israel in international for a has made him use double standards for the country. Comment: Threats and actions that have dire consequences are not debates. Of course anyone can debate and disagree (in a democracy!) The two questions are 1) how do you do it and 2) what are the ramifications. Regarding how one disagrees, the notion of being publicly hostile and rallying party loyalist to blacklist the Israeli prime minister is NOT the way to disagree. When the animosity is so public that fellow world leaders would approach you and share their disgust with Netanyahu (French PM Sarkozy in 2011), you have clearly let it be known to the world that you seriously despise the man. Politics is an art of subtlty and getting things moivig along. Mission Failed. To the second point, on the ramifications of disagreeing, in a civil society, people just go back to their corners and disagree. However, in this situation, the disagreement leads to Iran – which has sworn to destroy Israel – obtaining nuclear weapons. Here the disagreement has led to the threat of the US not siding with Israel at the United Nations to make Israel become a pariah state and subject to various sanctions. This is not simply “it’s OK to disagree”. Those disagreements will seriously harm the very viability of the State of Israel. And to somehow suggest that putting Israel in grave risk REPEATEDLY should not lead anyone to question the “good will” of those people is puzzling. To argue that the actions themselves are not “hostile towards Israel” is absurd. While Obama may have won over some Israel-supporters with his heavily coached- discussion on values, the red herring he is marketing is foul. Summary: There is a Jewish community in New York with a long-standing effort to maintain a strong Community: among the various denominations of Judaism within the city, and in staying connected with the Jewish State. For the 67th birthday of Israel, it opted to destroy all of those efforts. The Jewish community of White Plains NY is not a typical New York City suburb. The five synagogues of the city (5SWP) – Reform, Reconstructionist, Conservative and two Modern Orthodox – all sit within 1.5 miles of each other and actively seek to maintain a sense of close community. Each temple helped to establish the communal eruv around the residential neighborhood. The rabbis have study groups together. And lastly, the members of the shuls do their Israeli programming together. In the spring of 2015, a group from the Israel Action Committee of the 5SWP decided that it was time to invite a left-wing speaker to address the group, as past speakers included right-of-center speakers including Bret Stephens and Malcolm Hoenlein. While voices of dissent came from within the committee as they learned about the proposed speaker’s line of work as a lawyer for Palestinian Arabs that sues the government of Israel, the group elected to invite Danny Seidemann to speak anyway – on Israel’s Independence Day, Yom Ha’atzmaut. 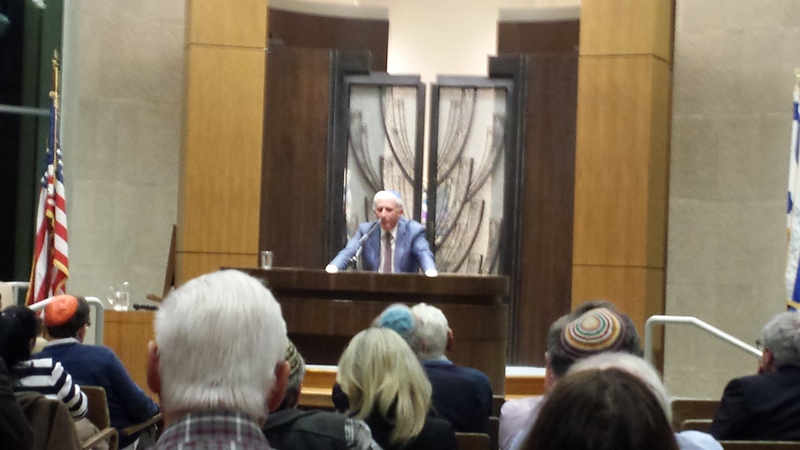 Danny Seidemann was presented to the audience as a “Leading Israeli Expert on Contemporary Jerusalem.” He spoke to the group for roughly one and one-half hours, including Q&A. If Danny is an expert, it is in deception. For 90 minutes, the group of 70 attendees heard deliberate misstatements and lies of omission. However, Danny’s views and message were very clear: that Jerusalem has never been united and can never be a united capital of Israel. Here is a selection of some of Danny’s lies to support his position. Palestinians are deliberately excluded from Jerusalem society. Danny made several remarks early in his talk that he clearly knew to be untrue. He stated that Palestinians in East Jerusalem are “deliberately and permanently disenfranchised” and “are not allowed to be leaders” in Israel. However, in Q&A at the end of the talk, he admitted that Palestinians in East Jerusalem are permitted to ask for Israeli citizenship and thousands have already become citizens. How can the Palestinian Arabs be “permanently disenfranchised” if they can become Israelis, similar to the over 1 million Arabs that are currently citizens of Israel? Those Israeli Arab citizens include members of the Israeli Knesset and the Supreme Court. 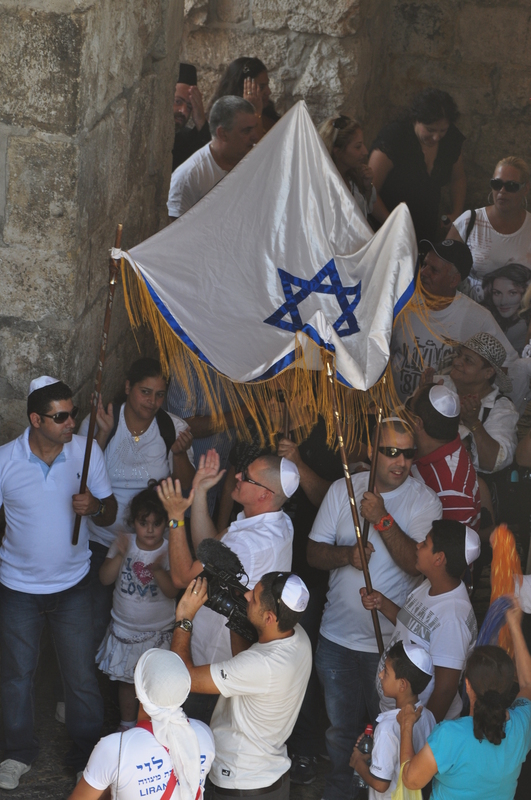 A minority of Jerusalem’s residents celebrates Israel Independence Day. 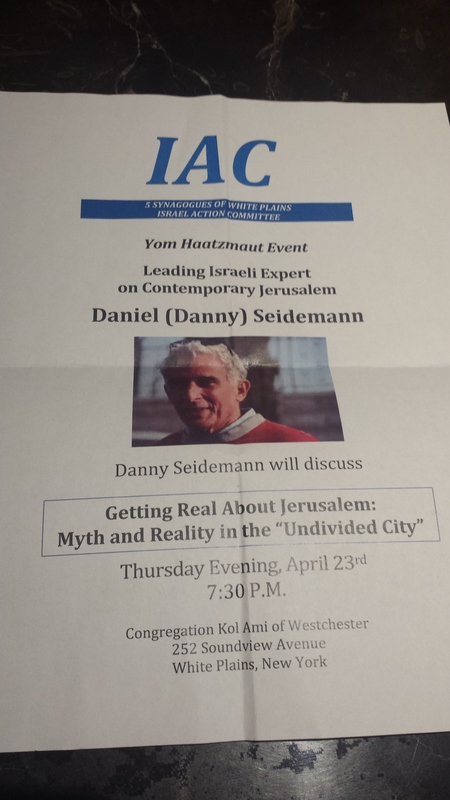 Danny asserted that the capital of Israel barely celebrates Yom Ha’azmaut, undermining the claim that the city can truly be the capital of Israel. Along with Palestinian Arabs living in Jerusalem who are not Israeli citizens, are roughly one-quarter of the population that are Ultra-Orthodox Haredi who are not Zionists according to Danny, leaving only a minority of the population in Israel’s capital celebrating the holiday. However, Danny later admitted that the Haredi do actively participate in Israeli elections and actively seek roles in the Israeli Knesset. Does he not like the black hat brand of patriotism? Further, these Haredi Jews predominantly live in the western half of Jerusalem- does Danny question the legitimacy of the western part of the city too? No Jew enters East Jerusalem. Danny claimed that “80% of East Jerusalem is off-limits to Jews.” First, that is untrue as many Jews go into East Jerusalem all of the time (and not just the Old City). 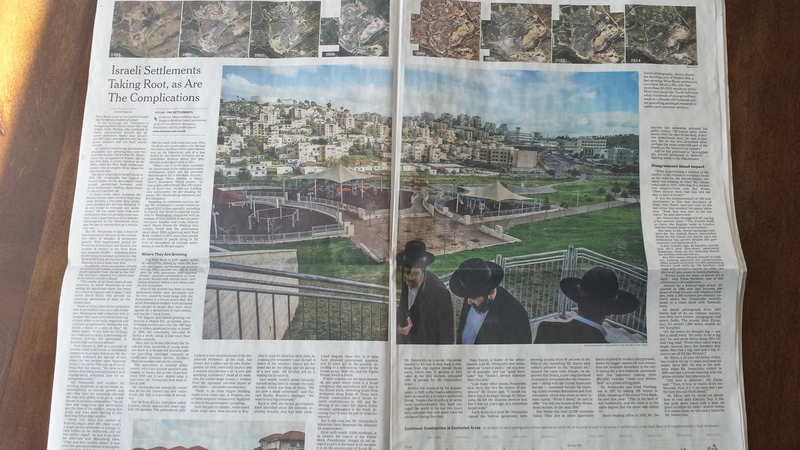 For example, Pisgat Ze’ev, the largest Jewish neighborhood in Jerusalem, lies next to Shu’afat. Further, would a neighborhood being dangerous or consisting of a single ethnic group mean it ceases to be part of a city? If few Jews visit Umm al-Fahm, an Israeli city that is nearly 100% Arab (compared to the eastern part of Jerusalem which is 60% Arab), would that mean that the city is not part of Israel? When few white people entered areas of black Harlem in the 1970s, did Harlem cease to be part of New York City? 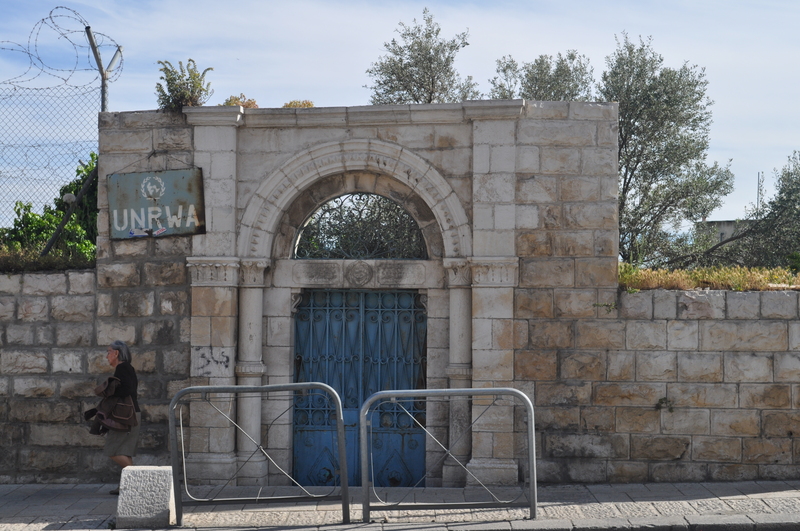 No Arab enters West Jerusalem. Danny said that Arabs no longer enter the western part of the city. That is patently false. On most days, there are more Arabs in Independence Park than there are Jews. Danny may claim that these are Israeli Arabs and not Palestinians from East Jerusalem, but how could he make such claim without speaking to the hundreds of Arabs that anyone can see in the streets of western Jerusalem every day without talking to each one? Countries do not recognize Jerusalem as the Capital of Israel because of East Jerusalem. Danny argued that Jews pretend that Jerusalem is Israel’s capital but that such claim is untrue as no country places its embassy in the city. His point deliberately led the audience to believe that this international action is a direct result of Israel’s annexing the eastern half of the city. That is completely false. 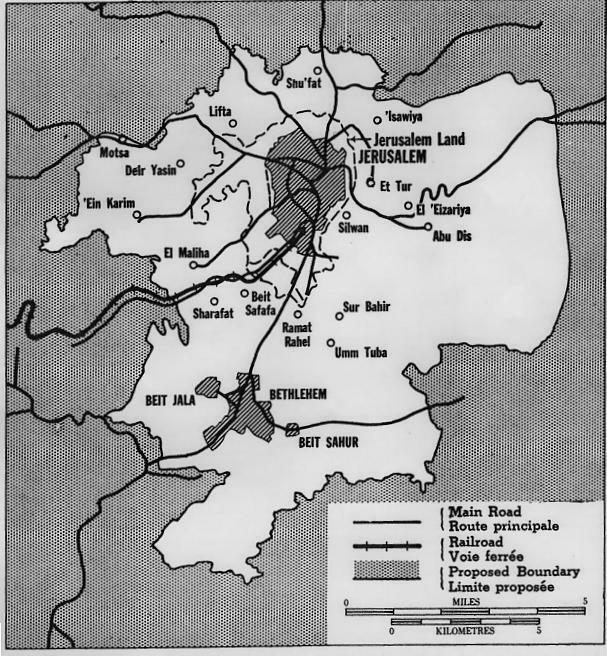 No country moved their embassy BEFORE Israel annexed the eastern half of the city because the entirety of Greater Jerusalem and Greater Bethlehem (known as the “Holy Basin” in the 1947 United Nations Partition Plan) was planned to be an international city. World governments are waiting for final status negotiations before moving any embassy, as they viewed the 1949 Jordanian annexation of East Jerusalem and the Israeli annexation of West Jerusalem as contrary to that 1947 Plan. It has NOTHING to do with Israel’s taking East Jerusalem in 1967. Israeli Prime Minister Benjamin Netanyahu does not want Peace. Danny claimed that the four-term Israeli Prime Minister “is a terrible person who preys on Israelis’ fears of security.” Not only did Seidemann ignore Netanyahu’s numerous statements supporting a two-state solution (without any part of Jerusalem for Palestine), but Danny also failed to relay that it was Netanyahu who handed over half of the Holy Basin (Bethlehem) to the Palestinian Authority back in 1995. The US Democratic Party Considers East Jerusalem too Controversial. Danny relayed how the 2012 Democratic National convention had removed its long-used platform language that Jerusalem would be the capital. He said that Americans were “tired of being bullied” about the contested city. What Danny failed to say was that the 2012 platform also removed the standard language that: Palestinian refugees would be settled into a new state of Palestine, not Israel; that it is unreasonable to expect that the borders of Israel would follow the 1967 “borders”/ the 1949 Armistice Lines; and that Hamas is a terrorist organization. Are Democrats tired of believing all of these platform items too? Are they now welcoming Hamas? Danny made it appear that the status of East Jerusalem was the only reason Democrats were breaking with Israel, while in fact, it was the entire pro-Israel platform that was either intentionally or unintentionally gutted. Olmert ultimately realized the need to give up East Jerusalem. Danny said that former Israeli Prime Minister Ehud Olmert ultimately concluded late in his career that the only way to get to a final status agreement with the Palestinians was to give up East Jerusalem. What Danny failed to say was that Olmert only pitched this approach as he was about to get indicted on bribery charges, and was hoping that he could win over the liberal Israeli press to save him for going off to jail (it was too late and he was ultimately sentenced). 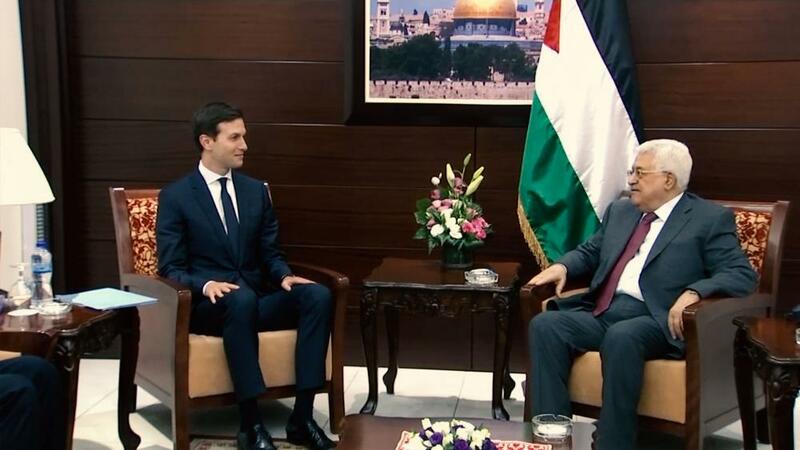 Further, Danny failed to mention that acting President of the Palestinian Authority Mahmoud Abbas never responded to Olmert’s plan for Jerusalem. If Jews move to East Jerusalem, then Arabs will have an added case for the Right of Return. The “expert” on Contemporary Jerusalem has no understanding of the Palestinian claim of the “Right of Return.” Danny spoke about recent “terrible” news of Jews legally (according to Israeli law) buying homes in an East Jerusalem neighborhood called Sheik Jarrah. He described that some of these homes had been owned by Jews before the 1948 Israeli War of Independence, which were then taken over by Arabs at the war’s end. For starters, it should have been noted at some point in the speech that the Israeli War of Independence started when several Arab armies initiated an attack to destroy Israel when it declared independence at the end of the British Mandate. The land wasn’t “Arab” and Israel’s war was of self-defense. Secondly, Danny failed to clarify that the Jordanians (and Palestinians who accepted Jordanian citizenship), evicted all Jewish inhabitants from East Jerusalem and all of the West Bank, and then further barred their reentry after the war, counter to the Fourth Geneva Convention. Conversely, after the war, Israel granted citizenship to roughly 160,000 Arabs. Third, Jews acquiring homes in East Jerusalem is legal according to Israeli law in the same way that Arabs may buy homes in West Jerusalem; there is no discrimination either way. These are private transaction between private people, and the government does not get involved. Danny’s commentary left the exact opposite impression that the Israeli government acted in a discriminatory manner. Article 13 of the Universal Declaration of Human Rights states that “[e]veryone has the right to freedom of movement and residence within the borders of each State. Everyone has the right to leave any country, including his own, and to return to his COUNTRY (emphasis added).” The law is about returning to a person’s country, not a particular house where someone’s grandparent may have lived. In regard to the Israel-Palestinian conflict, UN Resolution 194 Article 11 “Resolves that the refugees wishing to return to their homes and LIVE AT PEACE WITH THEIR NEIGHBOURS (emphasis added) should be permitted to do so at the earliest practicable date, and that compensation should be paid for the property of those choosing not to return and for loss of or damage to property which, under principles of international law or in equity, should be made good by the Governments or authorities responsible.” Palestinian Arabs are not refugees, but the children and grandchildren of refugees. And as Seidemann makes abundantly clear throughout his talk, they have no intention of living at peace with Israel. Jews acquiring properties in Silwan or Sheik Jarrah or any other parts of East Jerusalem have absolutely nothing to do with these laws and give Palestinian Arabs no additional rights or claims to any “Right of Return” to any part of Israel or western Jerusalem. These were just some of the false comments that the speaker made about Jerusalem. 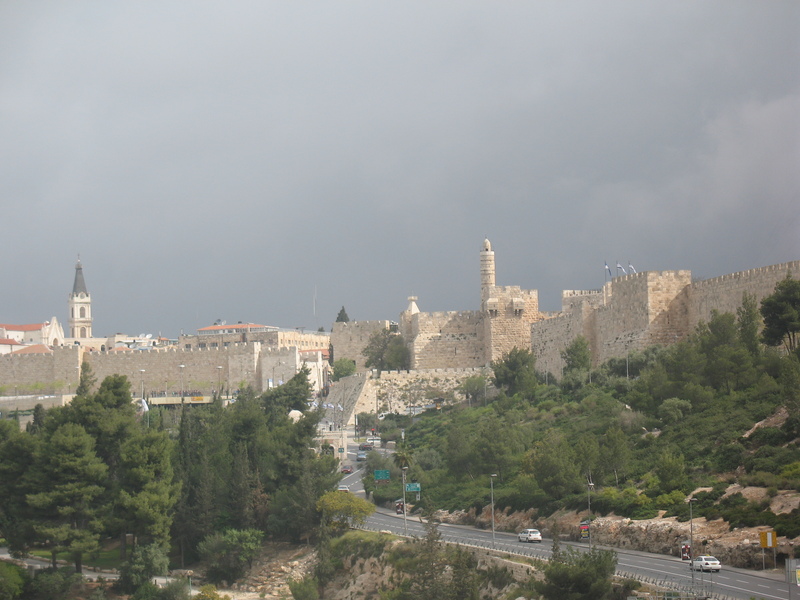 Seidemann did say that Jerusalem is holy to Jews and referred to “Jewish Jerusalem,” but he made the comment only about the western part of the city. He gave no historical context that the area called “East Jerusalem” was an artifice of war. That its creation was solely from a war started by Arabs to utterly destroy any Jewish state, and the only reason that there are fewer Jews than Arabs in that part of the city was because of the ethnic cleansing committed by the Palestinian and Jordanian Arabs. 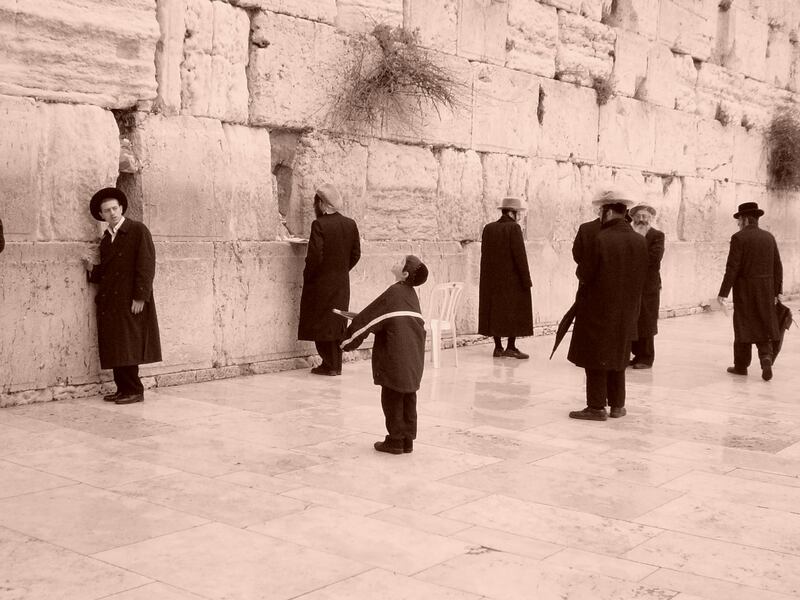 There was no clarification that Jews have been a majority in ALL of Jerusalem since the 1860s. No mention that the Ottomans never limited where Jews could live in Jerusalem for 400 years. Overall, Seidemann’s speech was an attempt to portray Israel as an evil, racist occupier of eastern Jerusalem. To the more informed in the audience, all his speech actually conveyed was that the Palestinian Arabs hate the Jews, hate Israel and will never want to be part of the Jewish State. That may be true, but it certainly does not make Israel an evil racist occupier and does not mean that Jerusalem isn’t completely part of Israel. An hour into the Seidemann story, he became particularly excited. Call for BDS of the “Settlement Enterprise”. Danny gave a short preamble that what he was about to say was illegal. He then raised his hand and voice and declared that all settlers living in the West Bank should be boycotted. That all businesses in the territory should be boycotted. That he, as a “true Zionist” that paid taxes and served in the army needed to protect his country from “right-wing idealogues” who threatened his vision of Israel as a Jewish and democratic state. At that point, people in the audience finally began to leave. Palestinians support Abbas. Seidemann claimed that Abbas enjoyed broad support of the Palestinians. When he was confronted that it was not true as shown in every poll conducted by Palestinians themselves, including recent university elections, he refused to back off his claim. Abbas is in control. When Seidemann was asked how Israel can possibly negotiate with Abbas since he lacked control of the people and territory, he reiterated that Abbas had complete control. After it was pointed out that if Abbas was in control, he was therefore responsible for the Gaza war that fired thousands of rockets into Israel, Seidemann ripped off his yamulke and stormed away. While the speaker demanded total silence and respect from the audience, he showed the group none. A community that sought to be educated about Israel was lied to for 90 minutes. A group that wanted to bond with fellow Jews and Israel, heard from a speaker that called for Jews to punish and economically strangle Israeli Jews. As this self-declared UberZionist drove away, the community was left with bitter feelings. At least it was no longer on the Israeli Independence Day. Summary: US President Obama seemed fixed on select comments from Israeli Prime Minister Benjamin Netanyahu, in an effort to portray the Israeli leader as a right-wing extremist who is a regional threat to peace. Not the Iranians who seek nuclear weapons. Not the Palestinians who support Jihad. Many articles have been published about US President Obama’s bizarre focus on select statements from Israeli Prime Minister Benjamin “Bibi” Netanyahu in the heat of elections. 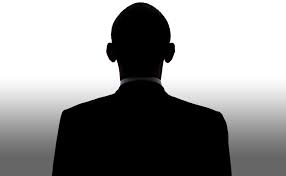 Articles point out the hypocrisy of Obama who himself made many statements during his elections from which he later back-tracked. Obama is also duplicitous in ignoring Iran’s chants of “Death to America” in the middle of nuclear negotiations. How and why are some statements glossed over while Obama gives others great attention? Obama is using Netanyahu as the straw man for the Iranian nuclear talks and the Israeli-Palestinian conflict. Obama has orchestrated a narrative where Netanyahu is the belligerent, right-wing, war-mongering leader, and not the Iranians or Palestinians. The Israeli Position: Don’t threaten to destroy us; don’t have arms to carry out your threat; we will protect ourselves, as needed. We will make peace with you, if possible, on terms that do not undermine our security or viability. The Obama position: Israel is a right-wing, war-chanting, racist country that doesn’t believe in a negotiated solution. The Iranians are-who-they-are and this is the best we can expect from them, and the best deal that can be achieved at this time. Obama has said throughout his presidency that Iran should not get nuclear weapons and that he will make sure that they cannot get such weapons of mass destruction (WMDs). However, he has softened his tone and position significantly and acquiesced that Iran will be able to keep various plants and operations to make such weaponry. He believes that Iran has already advanced too far in its knowledge and infrastructure. Further, he thinks the rest of the P5+1 parties in the negotiations will not go along with a sanctions to enforce a better deal. Therefore, he capitulates to the Iranians as Brett Stephens of the Wall Street Journal wrote. The Israeli Prime Minister believes the contemplated deal is a fiasco and has made his opinion known. He made clear that the deal assures the Iranians protection from attack while it continues to advance its nuclear research and development. The contemplated deal is not a nuclear deal, but simply a basis for the US to establish a new relationship with Iran and China. This same Iran, that threatens to destroy the US and Israel while it hangs gays in the streets. The same China, that executed three times the number of people as the rest of the world combined in 2014. Netanyahu’s chant that “the emperor has no clothes” makes it hard for Obama to sell the failure. Obama has no response to tough questions about the nature of the deal, or about the nature of Iran itself. As such, he has enlisted his party hacks to skewer Netanyahu to draw attention away from the failure to keep his promises about Iran. Obama and liberal loyalists have attempted to paint Israel as the right-wing fanatical country, not Iran. They portray Netanyahu as a hard-liner, not Iranian President Hassan Rouhani who is described as a moderate trying to fight his own Iranian “hard-liners”. Netanyahu is described as a “racist“, while Rouhani is described as a “relative moderate“. These characterizations are both an inversion of the truth and a red herring. But it serves to rally Obama’s liberal base in selling the Iranian non-nuclear deal: a right-wing fanatic (to them it has become Israel) is attacking a liberal country (magically, this has become Iran). Obama’s media minions mystically transformed the threat of the terrorist state of Iran being granted WMDs under Obama, to the right-wing rogue state of Israel attempting to block the moderate Iranians establishing ties with America. The deal’s numerous failures are ignored and the focus is diverted onto Netanyahu. The Concern: The most anti-Semitic people in the world that has repeatedly gone to war to destroy Israel, continue to seek its destruction. A straw man without the people’s support nor power to enforce a peace deal, is labeled as a “moderate” for only seeking an end to the conflict on terms that undermine Israel’s peace and viability. The Obama position: Israel is a right-wing, war-chanting, racist country that doesn’t believe in negotiations. The Palestinians are-who-they-are and Israel cannot wait forever for the Palestinians to become moderate. Obama made a specific calculation to build bridges to the Muslim world which he felt were damaged under President George W Bush. He began his presidency with an international trip to Egypt where he gave his famous “New Beginning” speech to the parliament in Cairo. (He did not use the opportunity of being in the region to visit Israel). Indeed, when he finally came to Israel in 2013, he snubbed Netanyahu’s invitation to address the Israeli parliament and instead used that time to speak to select Israeli students that support his weltanschauung. When it came to America’s involvement in Israeli-Palestinian peace negotiations, Obama dictated various terms and conditions upon Netanyahu which had never been instituted in any of the various peace talks between the parties. It included a ten month freeze on constructing new homes east of the Green Line (EGL) and releasing dozens of convicted Palestinian terrorists. Netanyahu did both. These actions were on top of his handing control of EGL cities like Hebron to the Palestinians. Obama concluded that the Palestinians are forever stubborn and he has minimal influence over their actions. He therefore feels he must exert greater pressure on Israel. That left Obama in the uncomfortable position of pressuring its ally which has the strong support of the American people over an antisemitic people that preach Israel’s destruction. He concluded that the best way to convince the American people was to invert reality and portray the Palestinians as desperate moderates who only seek peace, and the Israelis as belligerent racist occupiers. His left-wing megaphones were happy to pick up the line. 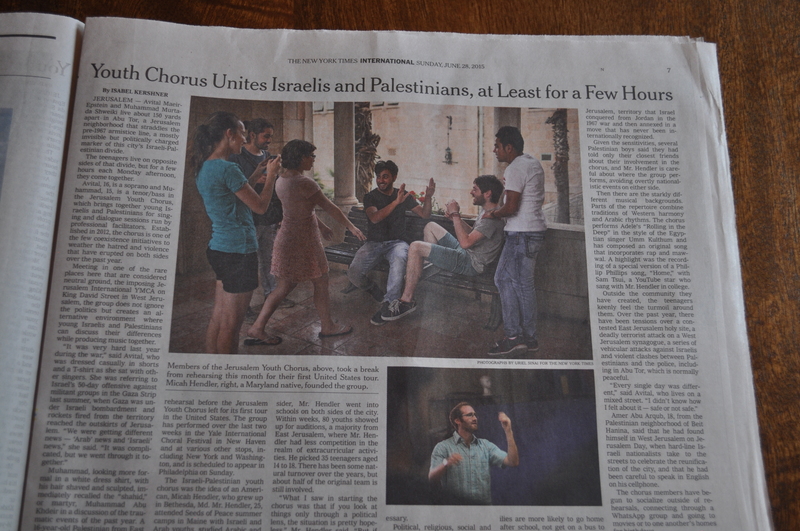 The New York Times has called the Palestinians “desperate” and full of “discontent” about their situation. They are constantly labeled victims (consider the coverage of “The War in Gaza” as opposed to “The War FROM Gaza“). 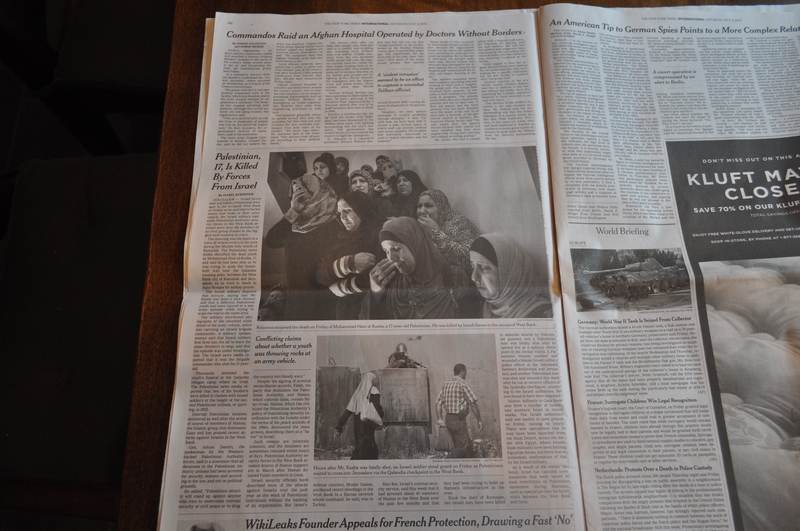 The injured Palestinians in the 2014 conflict were covered on the front page of the Times for many days (consider that no pictures of the three murdered Israeli teenagers or victims of Saudi attacks in Yemen, US drone attacks, Boko Haram, al-Shabab and others have ever appeared on the front page). Conversely, Netanyahu is portrayed as being racist and opposing peace. His election night get-out-the-vote comment about Arabs was described as racist, even though he had an Arab on the Likud ticket. His comment about the unlikelihood of a two state peace deal in light of the Palestinian positions and Arab Spring were painted as anti-peace by the Obama administration, even though Netanyahu has repeatedly stated his support and has taken actions towards a two-state solution. Obama’s team attacks Netanyahu in an effort to extract greater concessions from Israel, because of its failure to extract anything from the Palestinians. It attempts to force a peace treaty that offers no peace for Israel. It is an attempt to further US relationship with the Arab world. Netanyahu has become the convenient scapegoat for Obama’s failure to negotiate with Islamic Iran and the Palestinian Arabs. In the case of Iran, Netanyahu is a diversion from the terrible deal. He is a straw man that the only alternative to his bad deal is a call for war rather than a better deal. In regard to the Palestinians, Obama is attempting to portray the straw man Abbas as a real moderate negotiating partner by disparaging Netanyahu. Netanyahu’s refusal to engage in a bad/false treaty is portrayed by Obama as anti-peace. Six years ago, US citizens hoped Obama’s outreach to the Arab and Islamic world would create an opportunity to advance global peace. Instead, Obama continues to undermine global peace to foster a better relationship with the Arab and Islamic world. Summary: The New York Times once again showed its bias against Jews living on the west bank of the Jordan River by painting opinion as international law. It posted a large non news-article during the week of Israeli elections in an attempt to discredit Israeli Prime Minister Netanyahu. 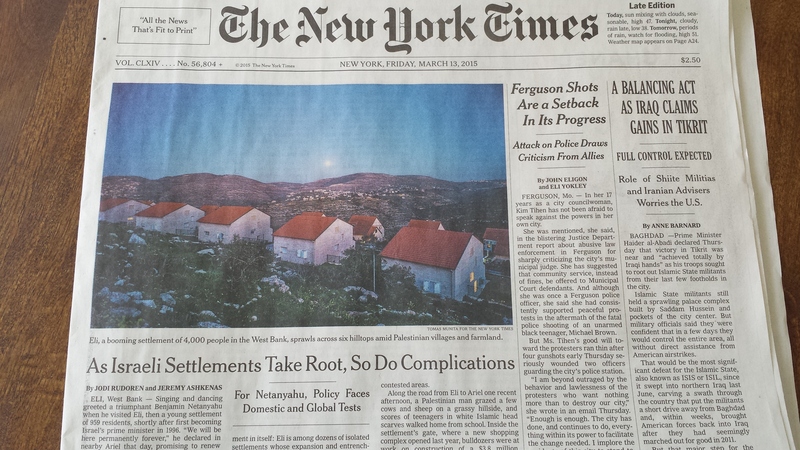 On March 12, 2015, the New York Times ran a cover page story called “As Israeli Settlements take Root, So do Complications” and on its online version it was titled “Netanyahu and the Settlements”. The article repeatedly referred to something called the “Geneva Initiative” as if the initiative carried any backing or legal authority. In actuality, the 2003 initiative is most akin to a present day Facebook Group. By reading such statements, one would think that Israel is deliberately building homes on the “Palestinian side” of a road, contrary to existing laws and/or agreements. Palestinians are comfortable with Jews living on one side of Route 60, but not on the other. That is specifically what the NYT intends the reader to conclude by writing such an article. It is completely untrue. The Geneva Initiative was launched by a handful of people- both Israelis and Palestinians. The civilians met during 2003 and drafted a guideline of how a two state-solution could emerge. None of the people participating were elected or appointed by any governmental body. Their initiative was not endorsed by any government. Neither Israelis nor Palestinians consider this old private working paper at all. Article 6: The Administration of Palestine, while ensuring that the rights and position of other sections of the population are not prejudiced, shall facilitate Jewish immigration under suitable conditions and shall encourage, in co-operation with the Jewish agency referred to in Article 4, close settlement by Jews on the land, including State lands and waste lands not required for public purposes. Article 15: The Mandatory shall see that complete freedom of conscience and the free exercise of all forms of worship, subject only to the maintenance of public order and morals, are ensured to all. No discrimination of any kind shall be made between the inhabitants of Palestine on the ground of race, religion or language. No person shall be excluded from Palestine on the sole ground of his religious belief. As described above, international law enabled Jews to live everywhere in Palestine. Such freedom of movement and the ability to buy land was also the case under the Ottoman Turks. This is history and law – not the opinion of a handful of private citizens. The west bank of the Jordan River was an integral part of the 1922 British Mandate of Palestine. It was annexed by the Jordanians in 1950, after Jordan attacked Israel in the 1948-9 war (such Jordan annexation was with approval of the Palestinians but never considered by the United Nations). The Jordanians illegally evicted all of the Jews from the area, including the eastern part of Jerusalem, counter to the Fourth Geneva Convention. Article 40: Any serious violation of the armistice by one of the parties gives the other party the right of denouncing it, and even, in cases of urgency, of recommencing hostilities immediately. Jordan was therefore legally attacked by Israel. The Jordanians officially gave up all claim to the land in 1988. None of these international laws, agreements or actions on the part of governments are mentioned in this large cover story by the New York Times. Instead, the Times chose to paint a picture that Israel is not abiding to laws to make it appear as the belligerent party. It does this with the aid of a private working paper from 12 years ago. Why give the article such prominence by placing it on the cover with a large color picture, and continue with a full two-page spread in the inside pages complete with pictures, maps and drawings? Why use an old private Initiative to make an argument about the location of settlements instead of history and law? Why post the article now? The New York Times posted the piece as they want to see Israeli Prime Minister Netanyahu defeated in upcoming Israeli elections. The Israeli elections will take place later in the week, on March 17, 2015. 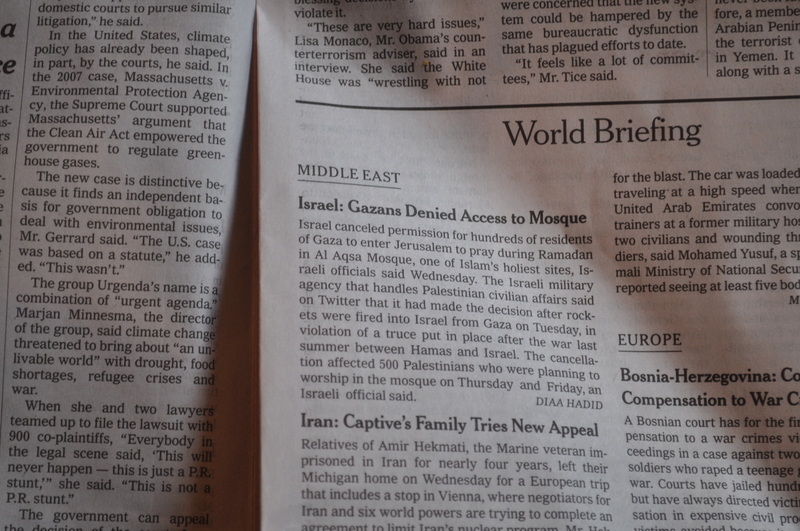 The New York Times, which has a long history of attacking the Israeli Prime Minister, put this non-news story on the front page the week before Israeli elections to make it appear that Israeli Prime Minister Benjamin Netanyahu was acting outside of the law. The Times has once again shown it is not a credible source of news and chooses to air its biased opinions throughout the newspaper. It has also shown that it seeks to influence the outcome of foreign elections with large distortions. An interesting piece of hypocrisy, as the day before, on March 11, the NYT posted an op-ed from Thomas Freidman arguing about Sheldon Adelson’s attempts to influence elections in the United States with major contributions to Republican candidates, as well as claiming Adelson’s Israel Hayom newspaper is a biased mouthpiece for Netanyahu in Israel. Is the Times posting the opinion of Barack Obama or George Soros?